Ways to preserve your home interior and exterior. As a homeowner, you care a lot about the interior of your property. You dust, mop, clean, organize, and tend to it weekly. However, are you neglecting the exterior of your home? Over winter, it’s natural for us to forget about the exterior of our homes and yards. To keep your property in the best condition and prevent common wear and tear issues happening to the property’s exterior, take a look at these maintenance must-dos. Paint. A good lick of paint helps your home to shine as well as protect the outer most surface of the home. 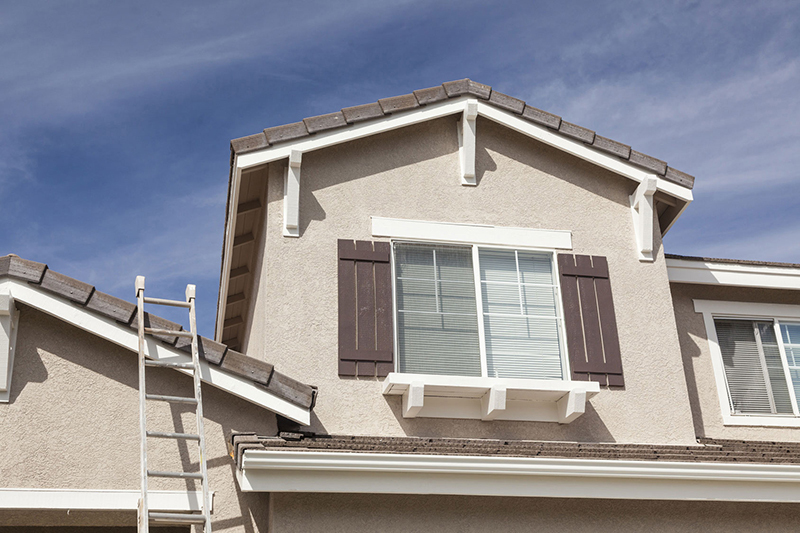 Painting your home also means you pay attention to areas that have paint cracking or flaking off. Clean out the gutters. Although this task is often only thought about in fall, it’s important for your gutters to be clear year-round. Not only will build-up block the flow of rainwater, but it can also lead to stains on exterior paint in the form of water streaks and leaf build up that may appear as a result of these blockages. Clean out the gutters at least twice a year. Examine the roof. Your roof isn’t designed to last forever. Some roofs can last 20 years but it’s important to regularly examine it for signs of weakness. If you spot soft areas, cracked or missing tiles, it could be time to call the professionals out to repair or replace the roof. As your home’s first line of defense, you don’t want to leave this part of your home to chance. Are you ready to find the right home insurance for your needs? Contact the professionals at Lloyd S. Berkett Insurance Agency, located in Los Angeles and serving the globe. We can help you to secure the right homeowners insurance for your needs and budget.